The head of the Judicial and Legal Commission of the regime’s parliament on Monday opposed to the adoption of the law on the increase of the legal age of marriage and said “increasing the legal age of marriage is contrary to the general policies of the system,” according to the state-run Fars news agency, affiliated with Iran’s elite Revolutionary Guard Corps (IRGC). He added that this law may also be violated, but the statistics on marriage at an early age is not significant. His comments follow those of Massoumeh Aghapour, a Majlis deputy, who recently said that early marriages are examples of violence against women in Iran. The regime’s parliament has not passed the bill proposing to eliminate violence against women for eight years. The only effort made has been an attempt to urgently pass a bill banning marriage of girls under 13 years of age, which has not been decided upon, yet. According to the official statistics, there are some 24,000 under-18 widows in Iran, and most of the early marriages end up in divorce. Razavi Khorasan Province (eastern Iran) has the largest number of early marriages, while East Azerbaijan Province (northwestern Iran) ranks second only next to Khorasan. A member of Tehran’s City Council in March revealed that the number of young women under 15 years of age who have been widowed is 15,000. At the same time, a woman official announced that there were 36,422 marriages of girls under 15 years of age in just one year. Experts of social affairs also recently declared that violence against women in Iran had 20 per cent rise in 2017. 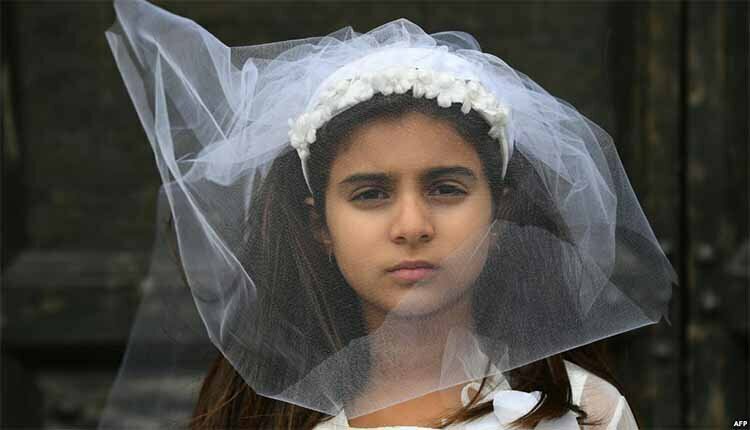 Girls in rural Iran are often forced into marriage at a young age. Protected under Iranian law, the practice is leading to broken families and a generation of children lacking prospects or perspective.